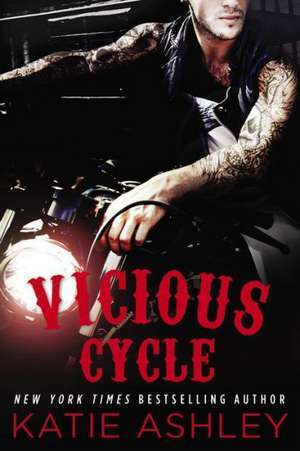 "New York Times "bestselling author Katie Ashley revs up the danger and sexual tension in her brand-new Vicious Cycle romance series. Deacon Malloy s life is dedicated to the Hells Raiders motorcycle club. Tough, hard, and fast with his fists, he serves the group as sergeant at arms. But his devil-may-care approach to life is thrown for a loop when the five-year-old daughter he never knew existed lands on the club steps. Alexandra Evans is devoted to all her students but there s always been something about Willow Malloy that tugs at her heart. There s an aura of sadness about her, a girl in need of all the love Alexandra can give. When Willow stops coming to school, Alexandra s search leads to a clubhouse full of bikers and a father hell-bent on keeping his daughter always within sight. The moment Deacon sees Alexandra, he has to have her in his bed and he s never met a woman yet who couldn t be persuaded. No matter how attracted she is to Deacon, Alexandra refuses to be just another conquest. But it s Deacon himself who could be seduced into a brighter future for himself, his daughter, and the woman he s falling for against all odds.